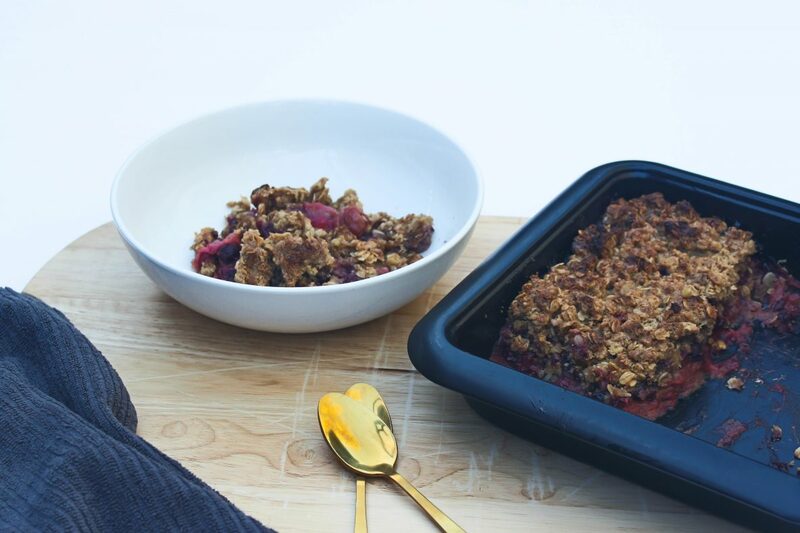 Who doesn’t love the old classic apple and rhubarb crumble?! Well I sure as hell do, but of course I love eating nourishing wholefood desserts more… so I grabbed a classic and put a twist on it to make it a healthified alternative. I used extra berries in the recipe to enhance the flavors and sweetness without the need to add any refined sugars! BOOM!! This is one of the EASIEST Healthy Desserts – EVER- I can make it while dinner is cooking or throw it together after we’ve eaten, ready for dessert in half an hour! Bliss!! I also used certified Gluten Free Oats, make sure, if you are Coeliac or gluten intolerant you check the oats are made in a gf factory of there own – and not contaminated. PS Did you know you could also save this as a yummy breaky dish? It will keep you nice and full and hit all those yummy sweet spots in winter! I am all about enjoying life and never ever depriving yourself. So don’t miss out on yummy treats, perfect for these cold winter days! CLICK TO LEARN MORE!! 1:1 HEALTH & NUTRITION COACHING, PERSONALISED FOR YOU WITHOUT ANY OF THE CONFUSING BS! Place apple, cinnamon, lemon rind and 2 tablespoons of water in a large saucepan over medium heat. Cover. Cook for 5 minutes or until apple starts to soften. Add rhubarb and flour. Cook, covered, for 3 minutes or until rhubarb just softens. Remove from heat, spoon through berries. Transfer to oiled or baking paper covered Baking Dish. In a separate bowl combine crumble mixture. Use finger tips to rub the butter mixture until it resembles a course crumble mix. Sprinkle over rhubarb mixture. Bake for 35 minutes or until golden. Cool 5 minutes. Serve and eat immediately. It will keep for 5 days in an air tight container or freeze for another day – if you can keep your mits of it!! 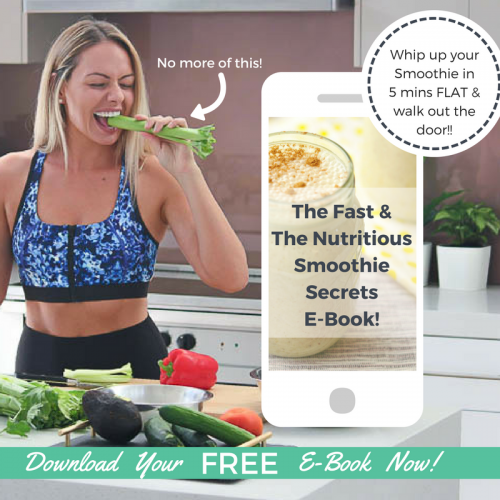 Click Me to Subscribe and Download your FREE eBook!